​​The State of Maine requires landlords to test all residential rental properties by March 1, 2014, and unless a mitigation system is installed, a tenant can request a re-test every 10 years. Simple air tests can show whether radon levels are safe. Radon tests can be done by the landlord, the tenant occupying the unit, or a Maine registered radon tester. 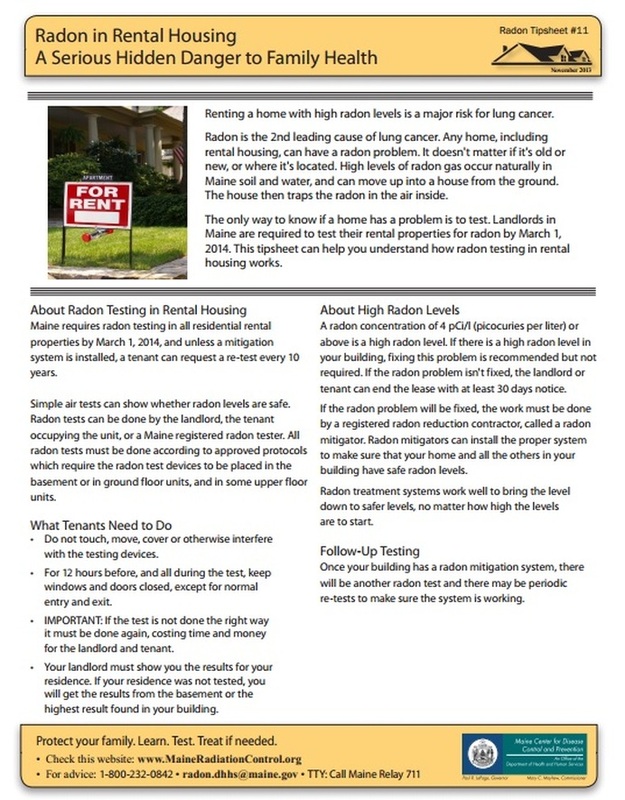 Radon Test Kits are available upon request through Pam Gray. Testing kits are free, however there is a $40.00 processing fee that the customer must pay directly to the lab. For more information call Pam at (207) 252-0152.